This year’s Borneo Jazz will feature a Keyboard/Piano workshop on “Jazz and Pop Patterns for the Keyboard” as its outreach programme targeting local musicians. It will be held on Friday, May 13 at the ParkCity Everly Hotel’s Ruai Bar from 10.00 am to 12.00 noon. The workshop is free-of-charge and all interested pianists and keyboardists are invited to register in advance with the Miri Music Centre at Tel no. 085-412 615. The invitation is on a first come first serve basis. The workshop is intended to provide free tutelage for local musical enthusiast who has the passion to learn the art of Jazz-playing. Conducting the workshop will be Associate Professor Razif Mohd @ Jeep, a graduate of the Conservertoire de Region de Rueil-Malmaison and Centre d’Information Musicale de Paris, France. 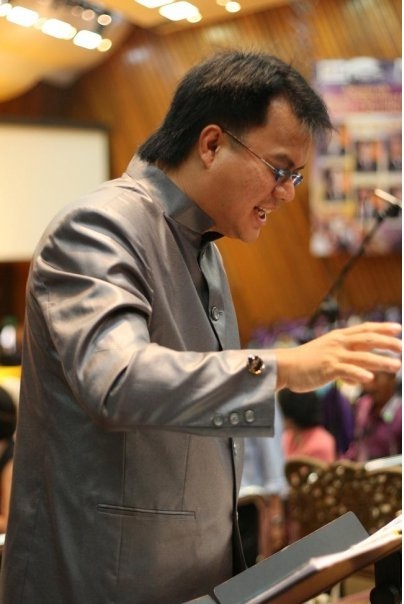 He is presently lecturing in General Musicianship, Improvisation techniques, Contemporary ensembles and the Short Courses Programme – Continuous Education for Community at the School of Arts, Universiti Sains Malaysia. He has also written books on the subject of Jazz including “Boogie-Woogie piano”, “Piano Ragtime”, “Latin Jazz Piano”, “Koleksi Lagu-Lagu Jimmy Boyle and P. Ramlee” among others. Razif is the founder, conductor and music directors of the Voice Over Voice Ensemble, Jeep Jazz Trio + 1 and the USM jazz band. Borneo Jazz intends to hold the workshops every year as part of its programme to reach out to young budding and talented local musicians.